DETROIT -- General Motors plans to start telling more dealerships that they will be terminated when their franchise agreements expire in 17 months. Two sources familiar with GMs strategy said the automaker planned to shutter as many as 450 additional stores beyond the 1,124 announced on May 15. In an interview late Thursday, GM sales chief Mark LaNeve said the figure is less than half that many. GM will begin contacting those dealerships on Monday, the day of its expected bankruptcy filing, the sources said. LaNeve said the dealers wont be offered a chance to renew their franchise agreements when they expire Oct. 31, 2010. These are dealers who have very specific issues, LaNeve said, without commenting on the timetable for the notifications. Some have stores that are exclusively Pontiac, are heavily Pontiac-dependent or have other specific performance issues, he said. 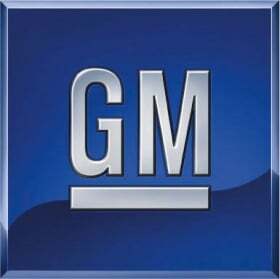 GM is scheduled to shut down Pontiac by the end of next year. LaNeve did not specify which criteria GM is using in this next round of terminations but said it is very similar to those used in the first round. At that time, GM evaluated a dealerships profitability, capitalization, sales effectiveness and customer-satisfaction scores. On May 15, GM said it would terminate 1,124 of its dealerships, most of them small and considered to be poor performers. The move was part of the automakers plan to trim its U.S. dealership count from 5,969 to 3,600 in keeping with its government-backed reorganization efforts. In addition to the dealerships notified on May 15, about 500 stores will be cut loose when GM sheds the Hummer, Saab and Saturn brands. As of mid-month, GM also had 35 stand-alone Pontiac dealerships that would be cut off when that brand is phased out.